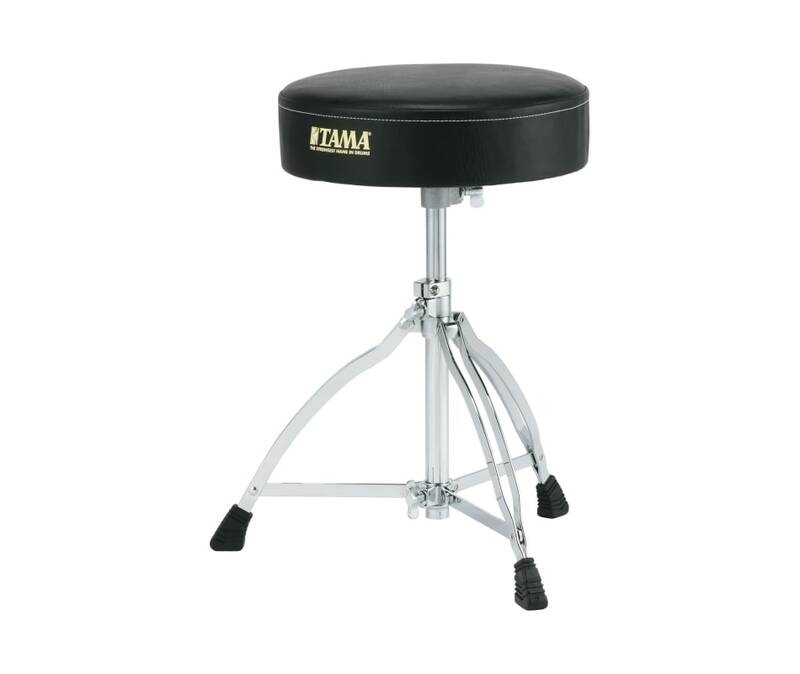 The Tama HT130 Double Braced Drum Throne re-sets the standard for affordable drum thrones. Showcasing their renowned penchant for strength and security, Tama upgraded the height adjustment mechanism on the HT130 standard throne by increasing the surface area of the pipe-gripping clamp. Rather than rely on the base of a single bolt to support the drummer's entire body weight, the new expanded clamp dramatically reduces the risk of slippage with improved grip.